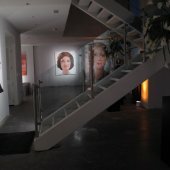 In recent years Rossin has established his reputation as one of the world’s leading portrait painters. 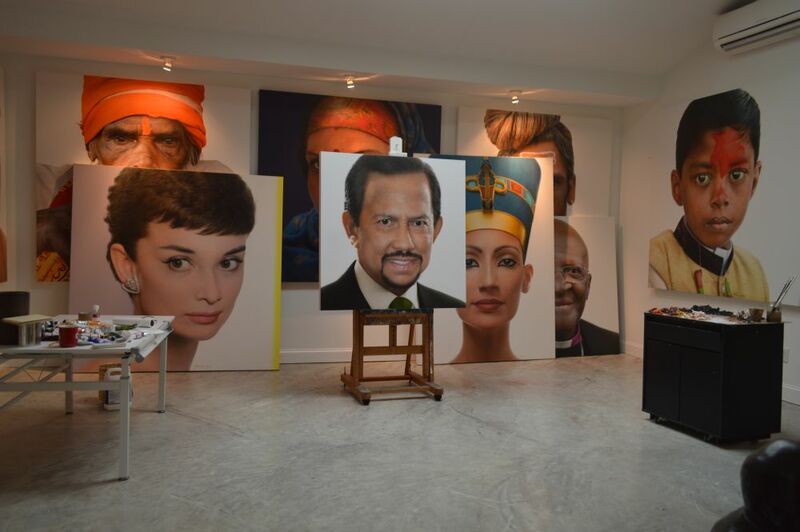 His clientele includes a wide range of world leaders in politics, business, science, history and the arts. 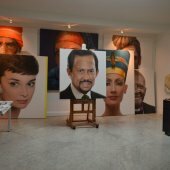 His work can be found in various government institutions, museums and private collections. The Bulgarian-born American artist and his family relocated to the United States in 2001. 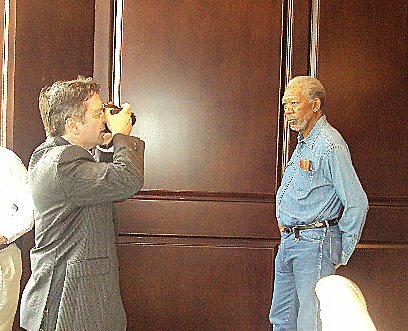 Throughout the 1990’s Rossin traveled intensively around the world, exhibiting and working on commissions in Western Europe and Japan. On Apr. 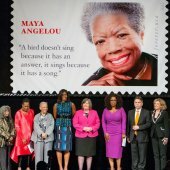 7th, 2015, a US Forever Postage stamp was unveiled in Washington, DC, featuring Rossin’s image of the legendary Maya Angelou. In 2014 Atlanta’s Center For Human and Civil Rights opened its doors – a museum centered around Rossin’s core portrait collection of 7 key world legendary activists. 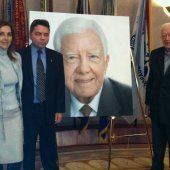 President Jimmy Carter sat for Rossin in 2011. 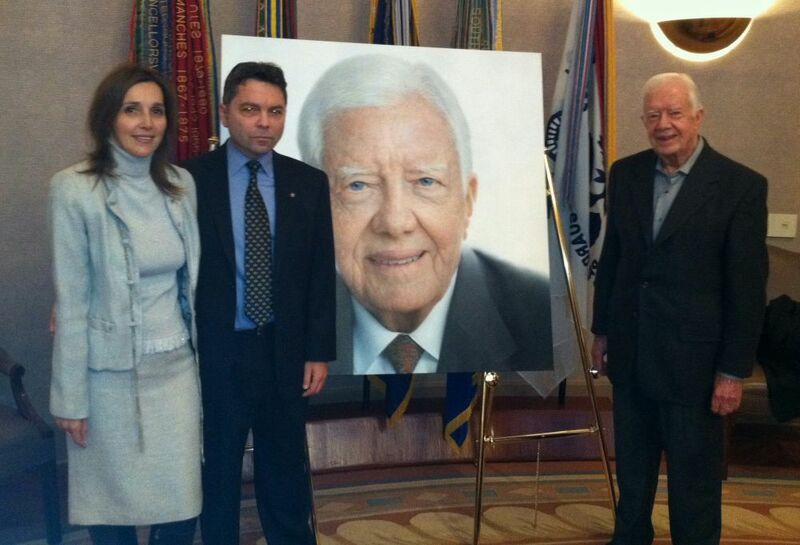 The resulting portrait hangs in The Carter Presidential Library and Museum. 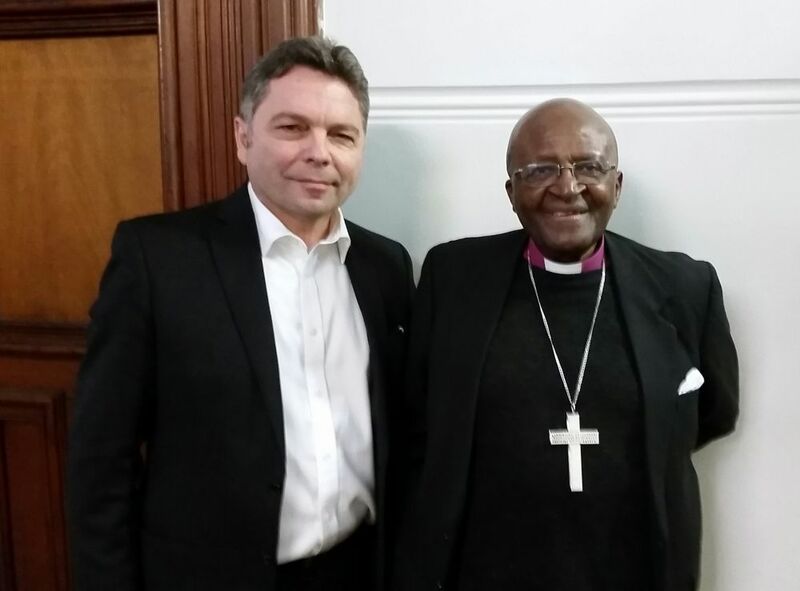 Rossin and Archbishop Desmond Tutu, civil rights and apartheid activist in Cape Town, South Africa. 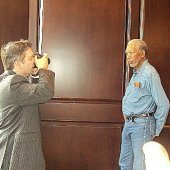 Rossin photographs Academy Award and Golden Globe Award wining actor Morgan Freeman, who is also 4th top box office name in movie industry. 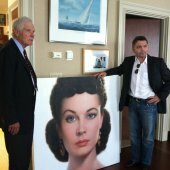 In 2012, Rossin’s portrait of King George VI, marking Her Majesty’s Diamond Jubilee, was accepted by H.R.M. Queen Elizabeth II and became her royal property. 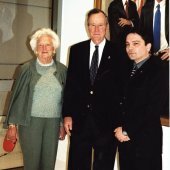 In 2003, the double portrait of Presidents George H. Bush and George W. Bush was unveiled in the George H. Bush Presidential Library and Museum. 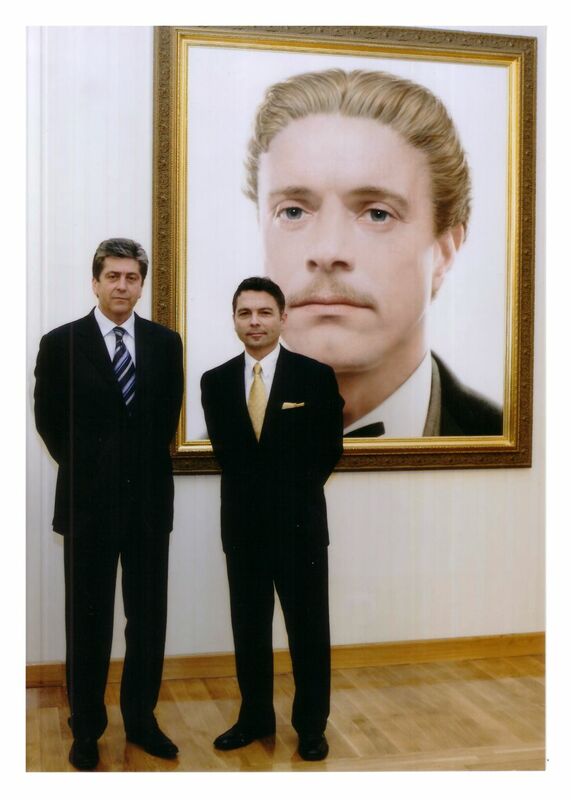 Notably, Rossin’s portrait of the father of modern Turkey, Mustafa Kemal Ataturk, belongs to the current President of The Coca Cola Company, Mr. Muhtar Kent. 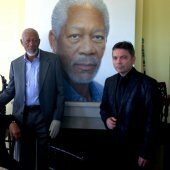 As an active Rotarian, Rossin painted the portrait of Paul Harris, the founder of RI. 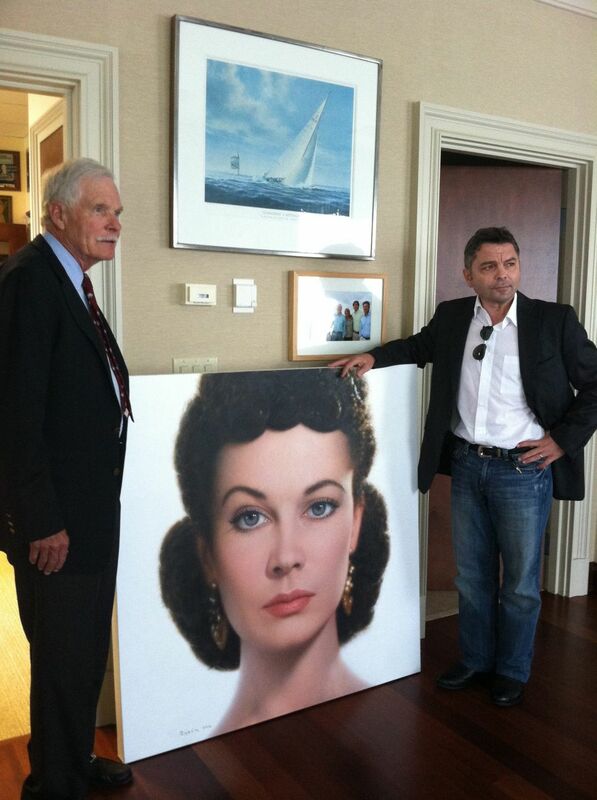 The painting sold at auction, raising USD 170, 500 for the Rotary Foundation. Rossin was named a Paul Harris Fellow and Polio Campaign Hero. 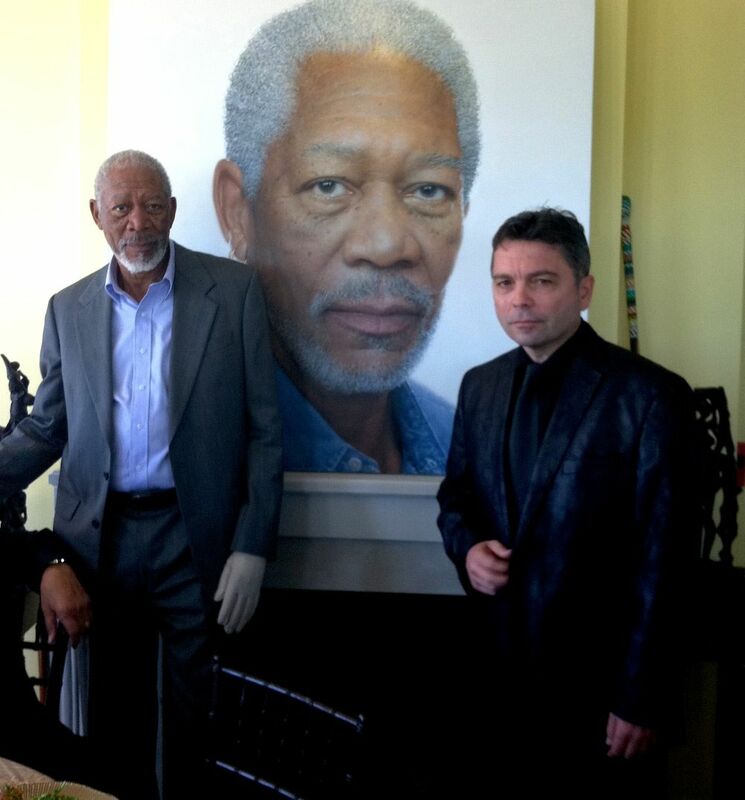 The portrait is displayed in the Rotary International Headquarters in Evanston, USA. 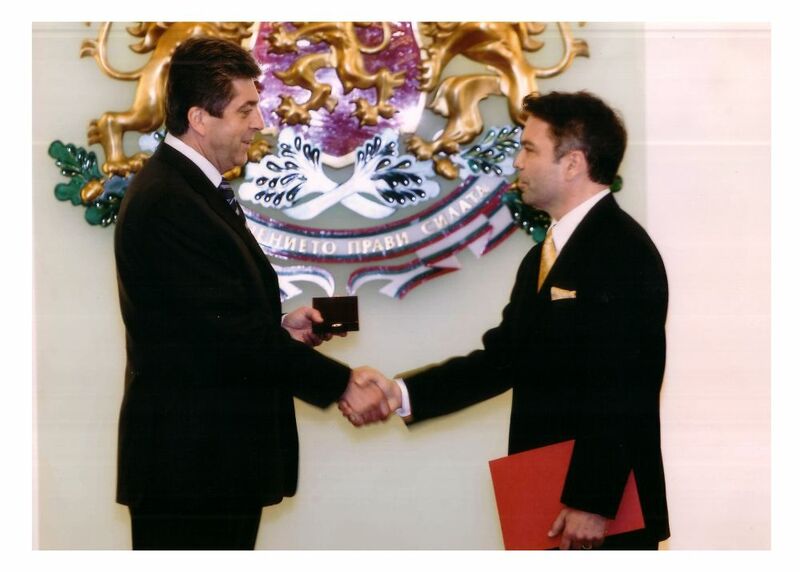 Rossin receives Presidential award given by Bulgarian President Georgi Purvanov, at the National Coat of Arms Hall in the Bulgarian Presidency for his portrait of national hero Vasil Levski. 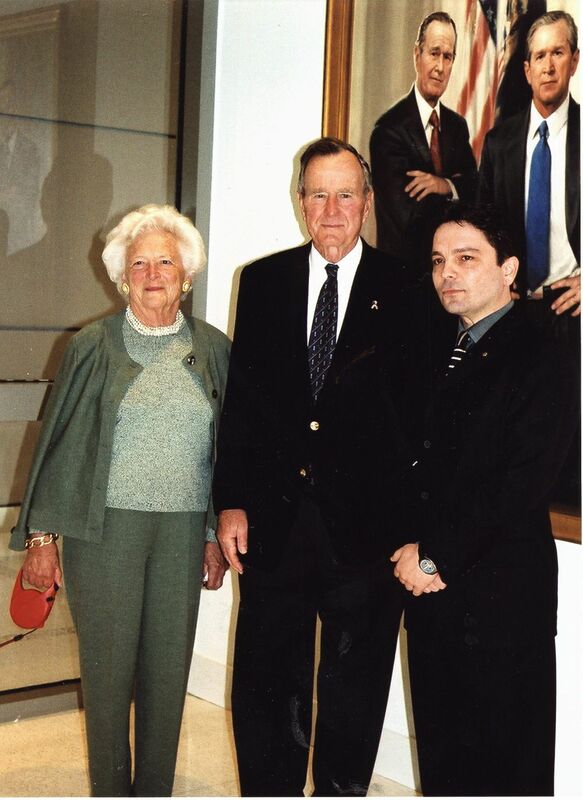 In 2004, Rossin’s large-scale masterpiece “Meeting In Time”, a portrait of all US Presidents of the XXth Century, gathered in the Cross Hall of the White House, took its place in the Booth Museum, Cartersville, USA. 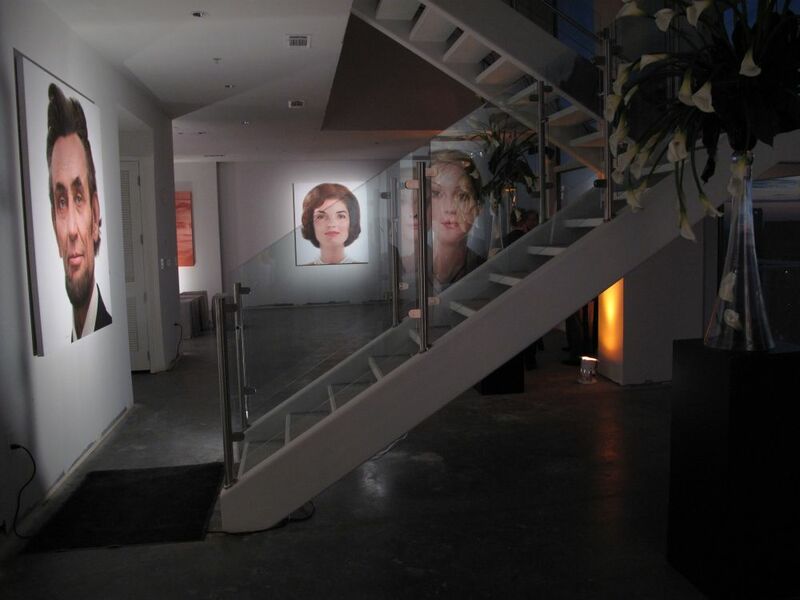 Between 2006 and 2010, Rossin created his “American Royalty Collection” - a series of large-scale portraits and paintings depicting iconic American individuals and objects. Presidents Washington, Lincoln, Coolidge, Teddy Roosevelt, Jackie Kennedy, a Barbie Doll and a Coca-Cola can count amongst them and can be found in various private collections throughout the US. 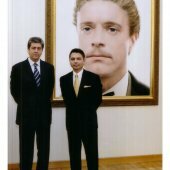 Portraits of four Coca-Cola Company presidents - Mr. Roberto Goizuetta, Mr. Doug Ivester ,Mr. Neville Isdell and Donald Keogh lead an impressive list of more than 500 portraits that Rossin has created in the last 15 years while in the States . 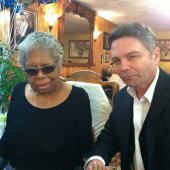 Maya Angelou is best known for her award winning memoir I know Why The Caged Bird Sings”. The large-scale portrait of baseball legend Babe Ruth, as well as legendary Hank Aaron, grace the national Baseball Hall of Fame in Cooperstown, NY. 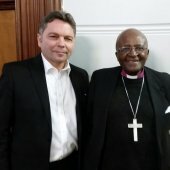 US Senators Saxby Chambliss and Paul Coverdale, US Attorney General Griffin Bell, Minnesota Governor Tim Pawlenty and Georgia Governor Sony Perdue are just a few of his high-profile commissions. 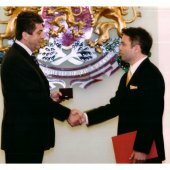 Rossin received his classical training in painting in his native Bulgaria. 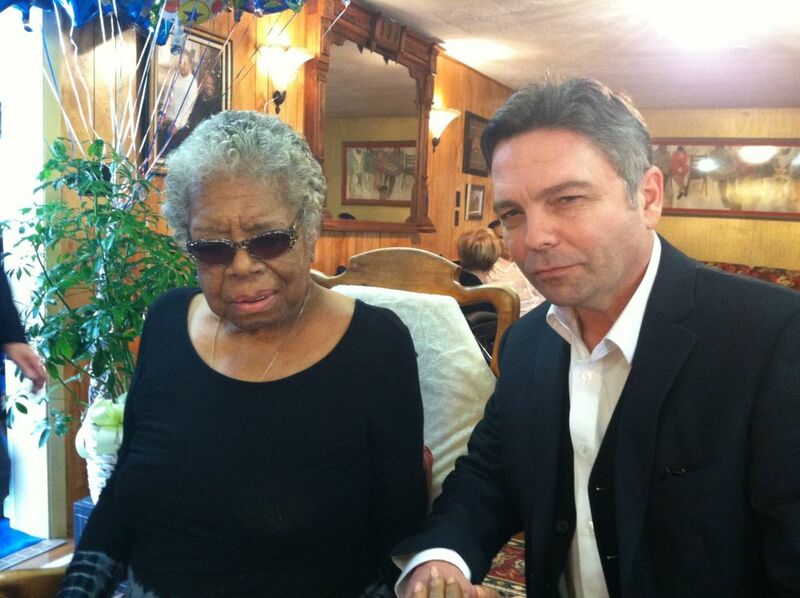 He has been privately tutored in the arts since the age of six. He attended the prestigious Sofia High School of Fine Arts and in 1990 he received his MA from The Sofia Academy of Fine Arts.